TCC’s CipherONE® Partner Program is designed to recognize the important role of our channel, OEM and strategic partners by creating a mutually beneficial relationship between partners and TCC. Channel partners, including resellers, VARs, systems integrators, and consultants, as well as OEM and strategic partners, play a critical role in the marketing, sale, and service of Technical Communications Corporation’s military-grade secure communications systems and custom solutions. TCC’s CipherONE Partner Program is designed to recognize the important role of our partners by creating a mutually beneficial relationship between partners and TCC. Channel partners are offered the training, tools and support needed to successfully sell and service TCC’s products, while realizing a positive return on investment. Partner agreements are customized for each partner situation, considering factors such as expertise, relationships, geography, commitment and resources. 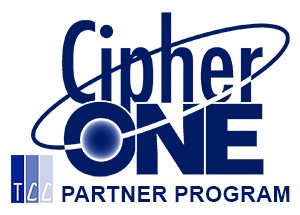 As a TCC CipherONE partner, channel partners are able to differentiate themselves in the security, IT or telecom industries by offering a full suite of universal voice, data and video secure communication products to address the ever-growing need for network encryption for government, military, and corporate and industrial organizations. Channel partners will also have the capability to offer solutions that meet unique customer requirements. TCC works with OEM and strategic partners to develop mutually beneficial agreements. TCC supports third-party branding of TCC products, and the embedding of TCC’s security in manufacturers’ telecom or network equipment. TCC can modify its systems to meet partner requirements. TCC also supports technology licensing agreements. As an OEM or strategic partner, vendors will quickly and cost-effectively expand or add capability to their product offering portfolio with the highest quality security equipment for voice, data and video networks to address customer demand for secure communications solutions. By working with TCC, partners will also be able to meet custom requirements.